According to figures from OPEC, Iran produced an average of 1.8 million barrels per day (bpd) in 2015, when it was under sanctions imposed in connection with its nuclear program. These sanctions were lifted in January last year following the agreement of the Joint Comprehensive Plan of Action (JCPOA) between Iran and the P5+1 group of countries, and since then Tehran has been keen to increase its production to pre-sanctions levels. Iran's oil revenue increased by 90 percent in 2016, and the country is currently producing 3.7 – 3.9 million bpd. Oil exports have risen to 2.5 million bpd, which exceeds the pre-sanctions level. 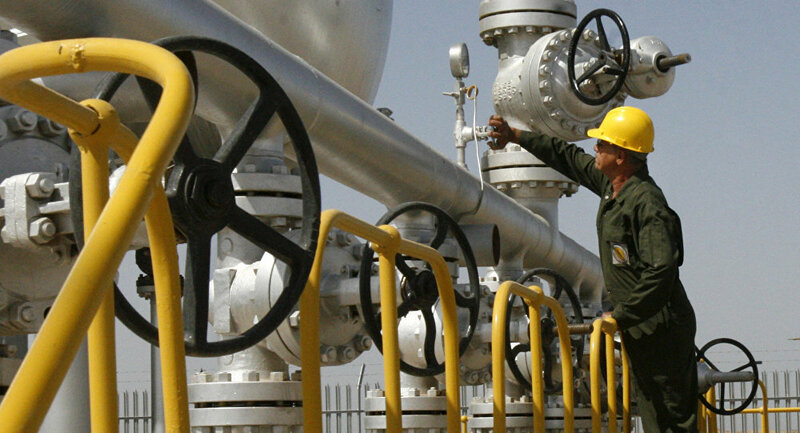 A large amount of oil in storage has allowed Tehran to achieve a rapid rise in exports. Over the past three months, Iran has sold 13 million barrels of 30 million in storage, expert in Middle Eastern affairs Vladimir Sazhin told Sputnik Persian. "Iran is the third largest oil producer in OPEC. In late November, the organization took a historic decision to cut total oil production by 1.2 million bpd; an exception was made for Iran, which insisted on restoring its market share after the removal of sanctions restricting oil exports. Under the terms of the OPEC deal, Iran will be able to increase production in 2017 by 90,000 bpd," Sazhin said. As well as millions of barrels in storage, Iran also has some recently discovered untapped resources. According to a recent statement by the Director of the Ministry of Petroleum's Center for Research Mahmou Hazhan, Iran has confirmed a significant amount of reserves of shale oil in Lorestan Province. In fact, a lower oil price, and more production, suits Tehran. According to the Director of the National Iranian Oil Company (NIOC) for International Affairs Mohsen Kamsari, the cost of production for Iranian oil is less than $10 per barrel. On November 30 the OPEC cartel managed to reach a deal to cut output despite opposition from countries like Iran, Libya and Nigeria, who demanded, and eventually received, exemption from production cuts on the grounds that they had not been producing at full capacity. Led by Saudi Arabia, OPEC agreed to cut production from January 1 by about 1.2 million barrels per day, or about 4.5 percent of its production, to 32.5 million bpd. Moscow played a crucial part in the formation of the deal, when Russian Energy Minister Alexander Novak spoke with Saudi Arabian Energy Minister Khalid Al-Falih to pledge a production cut of 300,000 bpd, providing half the total output reduction OPEC wanted from non-OPEC producers.